Onyx formed in 1988 and released their 1st single Ah, And We Do It Like This in 1990. After signing with Def Jam they released the critically acclaimed classic Bacdafucup in '93 and then followed by 1995s All We Got Iz Us which was cited as the years best produced rap album (a major recognition for the year that was in it). Coming back again in '98 they released another banger of an album Shut 'Em Down which featured heavyweights such as DMX, Raekwon, Method Man, Lost Boyz, Big Pun and more. Continuing over the next few years into the the early to mid naughties they released albums Bacdafucup Pt II, Triggernometry followed by the compilation albums Cold Case Files: Murda Investigation and Cold Case Files Vol. 2. This year the eagerly awaited Wakedafucup album is due to be dropped. 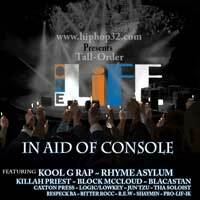 The group are known for their energetic and give-all performances and one of the last great mid 90 heyday HipHop acts that can still deliver the energy that made them the name they grafted for. 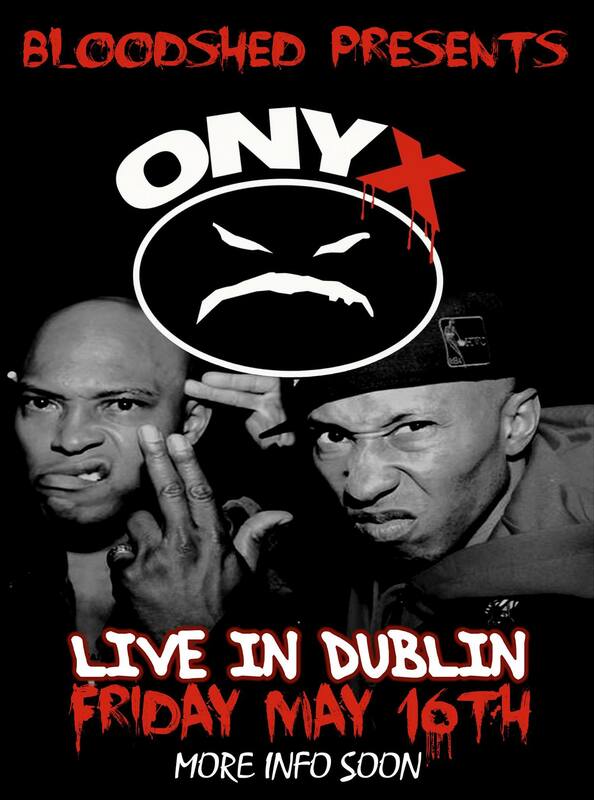 Onyx never disapoint and so don't miss out on this top gig this May 16th 2014 at the Voodoo Lounge. Tickets are just 20euro and can be purchased from any of the lads over at Bloodshed Records Inc https://www.facebook.com/BloodshedRecordsInc?fref=ts or you can purchase them from Tickets.ie https://secure.tickets.ie/Listing/EventInformation/18305/onyx-live-in-du...and tickets will also be available from Centra and Supervalu stores in the coming weeks.